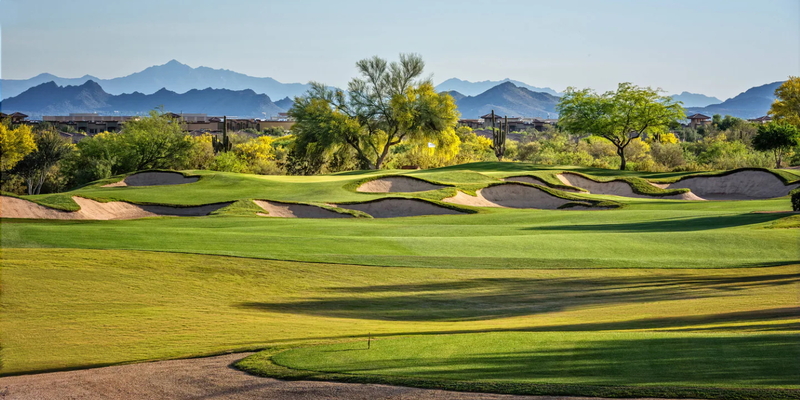 The Palmer Signature Course at Wildfire Golf Club offers scenic and expansive fairways allowing the ball to remain in play even on an errant shot. 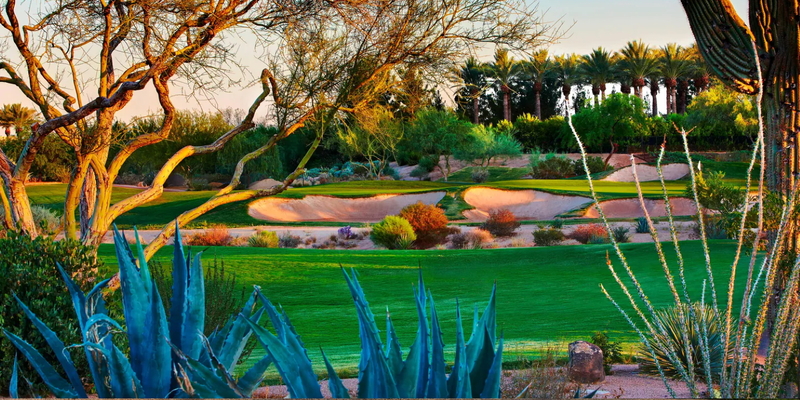 The Faldo Championship Course features generous fairways, large bent grass greens and tee boxes. 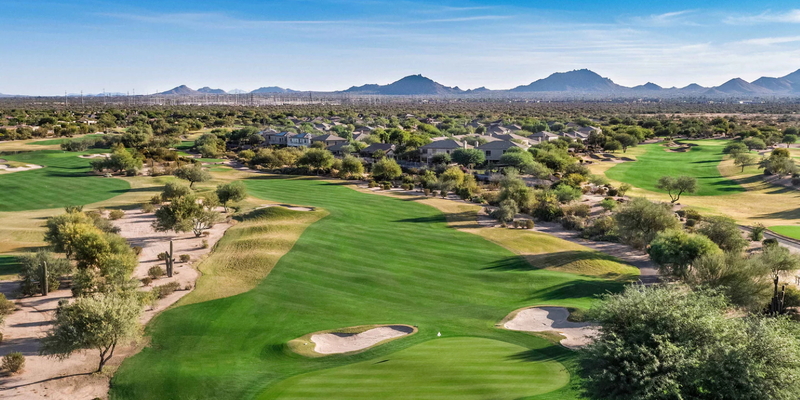 Surrounding both courses are the majestic McDowell Mountains and century-old saguaro cacti, providing a spectacular setting for golfers. 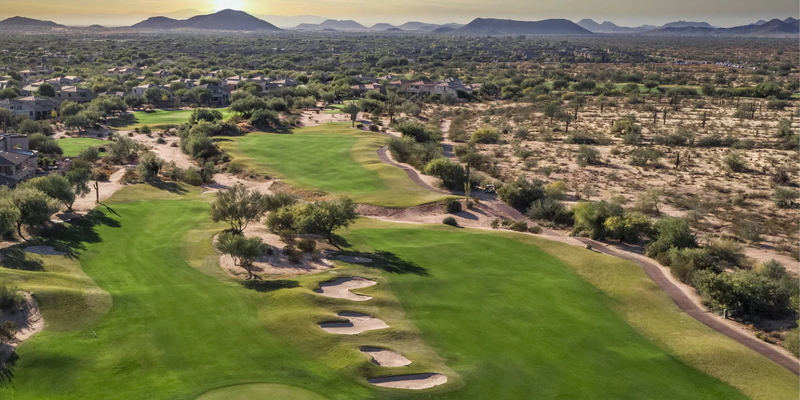 The two courses of Wildfire Golf Club are an integral part of the JW Marriott Desert Ridge Resort & Spa, voted one of the Top 75 Resorts in North America by Conde Nast readers. 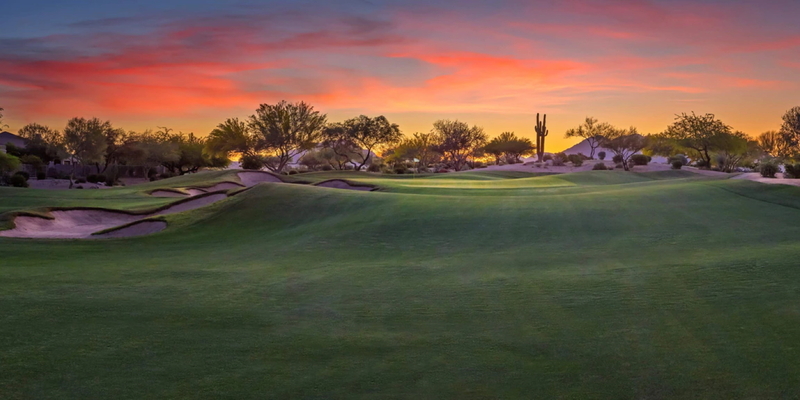 Please call 480-473-0205 for current rates. Take Scottsdale Road to Shea Blvd. Turn left (west) on Shea Blvd. At Tatum Blvd turn right (north). Drive 7 miles north to Marriott Drive Stoplight ~(3 miles north of Bell Road). Turn right onto E. Marriott Drive. Turn left at first circle. DRIVE TIME FROM LOCAL HOTELS 20-25 minutes. Take Highway 101 (Loop) East to Tatum Blvd (Exit 31). Exit andTurn left (north) onto Tatum and drive approximately 1 mile to E. Marriott Drive. Turn right(east) onto E. Marriott Drive. Turn left at 1st circle. The golf parking lot is your last left. (first stoplight south of Pinnacle Peak Road) on the left side. Turn left onto E. Marriott Drive. Turn left at 1st circle. The golf parking lot is your last left. Take I-10 West out of the airport to Highway 51 (Squaw Peak Parkway). Take Highway 51 to the 101. Take 101 East to Tatum Blvd. Turn Left (North) onto Tatum Blvd. Take Highway (loop) 101 north and exit on Tatum. Turn right (north) 1mile or your third stop light to E. Marriott Drive. Turn Right on E. Marriott Drive. Turn left at 1st circle. The golf parking lot is your last left. 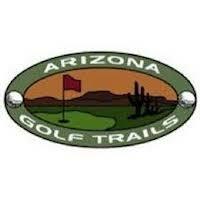 Call 480-473-0205 for rates and tee times. 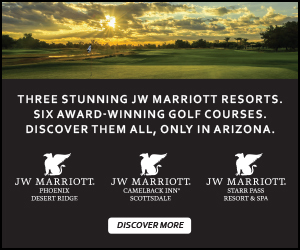 Contact JW Marriott Phoenix Desert Ridge Resort & Spa - Wildfire at 480-473-0205 for more information and details on holding a golf outing at the course. Enjoy aged steaks, seafood and poultry at this restaurant located at our Wildfire Golf Club. With stunning views, outdoor fire pits, a superb wine list and excellent service, Meritage is ideal for lunch, dinner or just an evening glass of wine. stonegrill features great food, in an upbeat urban atmosphere with simple, well executed American and regional Southwestern fare. Palmer courses are classy right? This profile was last updated on 02/09/2016 and has been viewed 20,739 times.